Sociëteit Vereeniging is founded in the mid-19th century by twenty four Haarlem based entrepreneurs. Since then it enjoys a unique position on both the business and social scene within Haarlem and its surrounding cities. Membership gives access to the comfortable clubhouse both during the day and in the evening. The club provides access to a large network of members and contacts. Numerous committees organise business events as well as social activities for all members and occasionally for the whole city. The club offers a rich environment where thoughts and ideas can be exchanged and plans can be developed. Since its foundation the members of Sociëteit Vereeniging play an active role in the community and the surrounding area. The Philharmonie, the main concert hall in Haarlem, for example is the result of an initiative by the club. Ever since the start over a century ago we strive to strengthen the position of the local community with projects, initiatives, promote cultural activities and entrepreneurship. Additionally we frequently organise seminars, workshops, business receptions, charity fundraisers and give young promising musicians, performers and artists a platform to display talents. Finally the rooms in our clubhouse are made available to other non-member communities networks including meeting facilities and private parties. We encourage initiatives within and outside the club wholeheartedly and try to support them with the facilities available in our clubhouse. In 2014 the exchange program started to connect with other like-minded members clubs both in the Netherlands and abroad. The aim of the exchange program is to offer access to our network of members and facilities in Haarlem as well as access to private member clubs across the world. Members of like-minded societies are more than welcome. We appreciate if you inform us of your visit using this form or by calling +31 23 5326008. 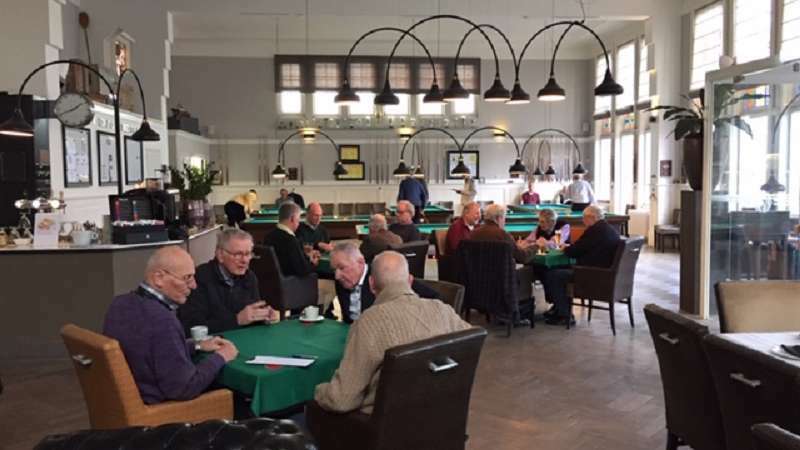 If you have any questions about Sociëteit Vereeniging or our clubhouse and its facilities you can plan a club tour through the members’ office.